Our latest hair products arrive here, they are clip-in hair extensions, come in sizes of 14, 16 and 18 inches. 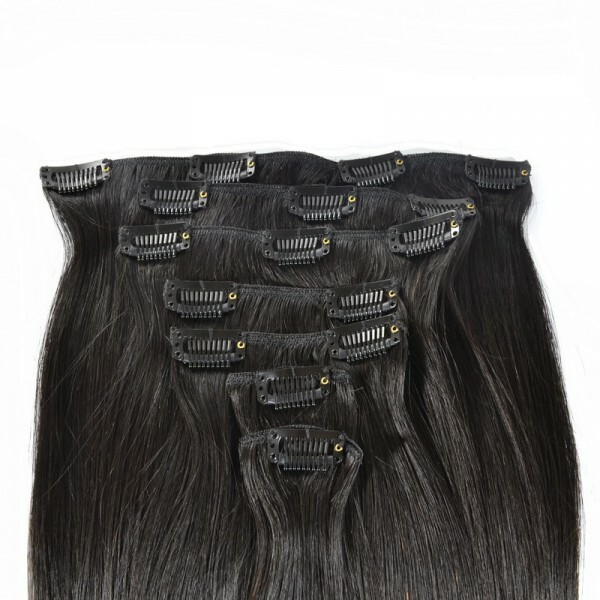 These clip-in hair extensions use 100% human virgin hair, sold at 7 pieces each set that contains 10-clip extensions. 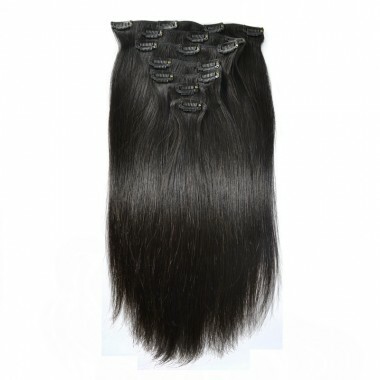 There are one 4-clip extensions measured to be 20cm in width, two 3-clip extensions to be 15cm in width, two 2-clip extensions are 10cm in width and two 1-clip extensions are 5cm in width. 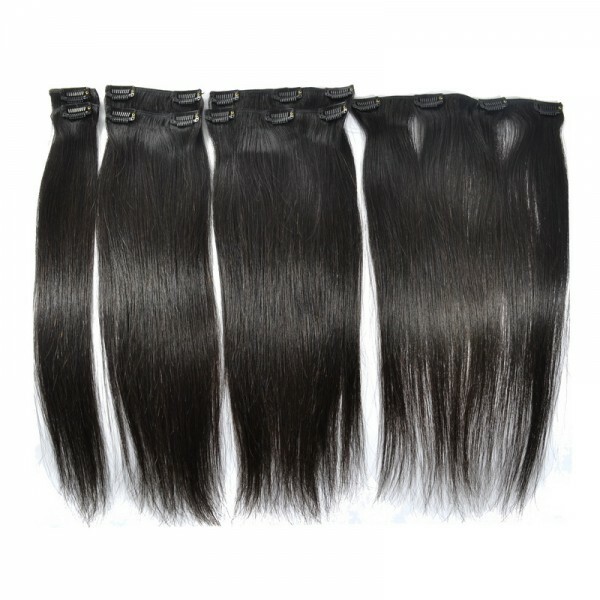 The width is not 100% correct and may have slight difference between each set of clip-in hair extensions. 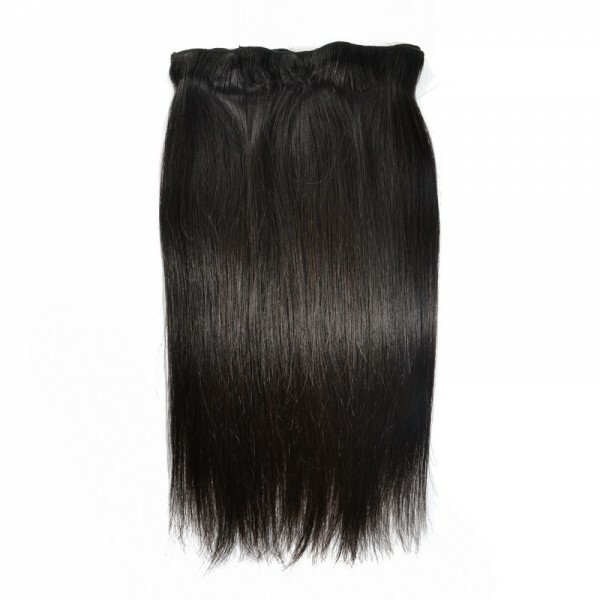 Now this one is in #1B color, also known as Natural Black, it has clips and easy to blend with your natural hair. 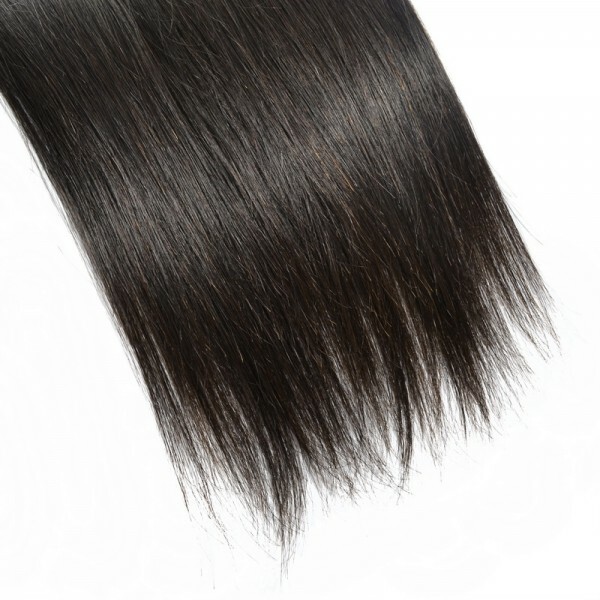 Love the hair already.Seller is awesome!!! !Communication A+ I received my order in a total of 3 days including processing my payment I’m very very happy with my purchase will update after i install! New star is a very fantastic seller. I am extremely amazed with her hair and even rapped it up with a gift,so awesome. 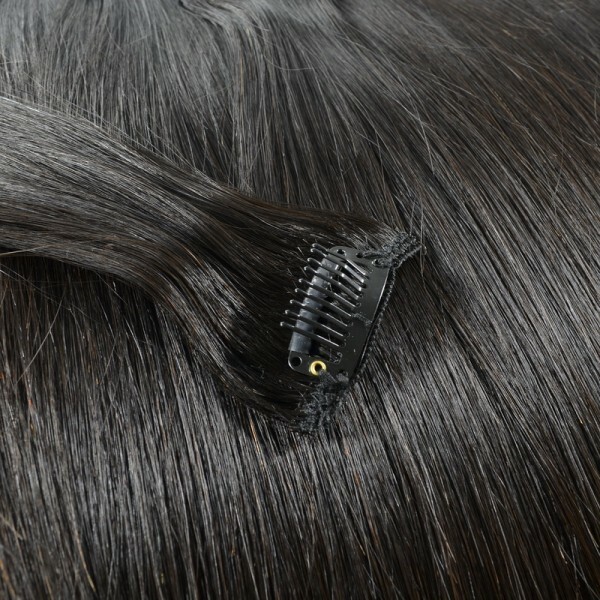 The hair is soft and lovely. 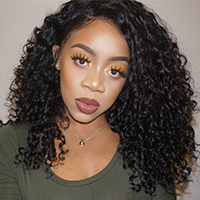 nice clip hair extension Review by Nima R.
I am very pleased with the hair, really thick and silky hair, true to length and fast shipping as always.